This kind of floor pads apply to granite, marble, concrete and other material, provide a high efficiency and remarble performance polishing with water. It is can be used on hand helded grinder and floor machine. This floor pads has very high polishing and no scratches, glossy polishing surfaces, with a longer lifespan, simple operation, durable resin compound. Usually, 4 pads are packaged by a separated box, 5 pieces or 10 pieces are in one carton. 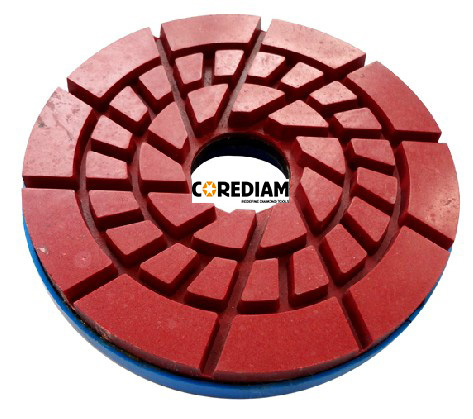 Looking for ideal 4 Inch Concrete Diamond Floor Pads Manufacturer & supplier ? We have a wide selection at great prices to help you get creative. All the Diamond Floor Pads for Marble are quality guaranteed. We are China Origin Factory of 4 Inch Floor Polishing Pads. If you have any question, please feel free to contact us.